Supply chain management is a highly complex process and it certainly plays a crucial role in a business’s reputation. Indeed, if the process becomes dysfunctional, in any way, it may be at the heart of a company’s demise. Unfortunately for such companies this failure is more than often avoidable because most supply chain problems recurrent in industry today, (despite all our technological advances) are caused by human error. Human error has always plagued the business world just because it goes hand in hand with that high price to pay. Although the majority of errors may be rectifiable, those which aren’t can send a ripple of negative change across a business culture. Recently, on a more dramatic level, the IRMI (International Risk Management Institution) pointed out that over the past 50 years the most serious industry accidents are all attributable primarily to human error. Expensive and detrimental to a company’s reputation, human error is a recurring cause for concern in a climate currently facing ruthless competition. The manufacturing industry is no stranger to this issue. Moreover it recognises it as its Achilles heel: something to be considered as being top of the “firing range” list. It has caused them to invest huge sums in order to perfect their supply chain management process. This has definitely inspired projects such as that of Productivist who wish to provide a real solution. Many may ask where this fever for accuracy and efficiency has come from. The most likely conclusion when pondering upon this question is that it is undoubtedly self-inflicted and it is one which has evolved with our advancements in technology and our desire to optimize costs. We are, indeed, less forgiving of human error because technology continues to raise our expectations into achieving infallible performance. The result is a highly competitive business environment which bases itself upon how we can out-perform our competitors by augmenting customer satisfaction. We are a society which wants everything done “yesterday”. Through our own progression we no longer have the patience to wait. We want answers to our questions immediately, quick accessibility to facts to make informed decisions, and the assurance that we are part of a confirmed consensus and understanding. This attitude which has developed over time continues to shape the way we do business. The result is that companies, to ensure 100% customer satisfaction and stay at the top of their game, are fighting to develop new solutions. However, although they are unbounding, they are but few which are revolutionary. “Management devises the systems, and — as humans — are fallible, they create systems with latent defects”. Present solutions to this problem are often driven by performance goals, metrics and recognition rewards are once again open to human error. While companies are adopting more and more smart technology to improve efficiency, and maintain high quality products at reasonable prices, we are not quite there yet. Productivist’s concept of using blockchain technology in the supply chain process makes perfect sense. The beauty of the blockchain is that it has the ability to calculate at high speed both the probabilities and improbabilities of a process and then re-adjust when necessary to provide a swift and efficient system. The “Chinese whispers” of the past; whereby misunderstandings occur along the supply chain, are therefore eradicated. Blockchain, similar to a purchase ledger, records by consensus each transaction and evaluates,without human intervention, customer needs and estimated turn-around times. It therefore not only increases productivity but also accurately calculates delivery time. Their proposed use of blockchain along with their APP this system can only enhance customer confidence and satisfaction. Their service will be tailor made, according to industry needs and will provide a service with real time monitoring. The beauty of it is that it is not limiting to company size and in providing a tailor made service it will be able to analyse and address the possible challenges each company is faced with in its supply chain process. Its service combined with its excellent network of highly trained 3D printing designers and manufacturers strategically based to enhance turn around times is exactly what industry needs. Here is a solution which is in line with the ever changing technological development which will allow businesses to increase their ability to be competitive as they reduce the human error margin, high training costs, de-localisation and poor outsourcing to provide a seamless service in a business area which is of a growing concern to management. 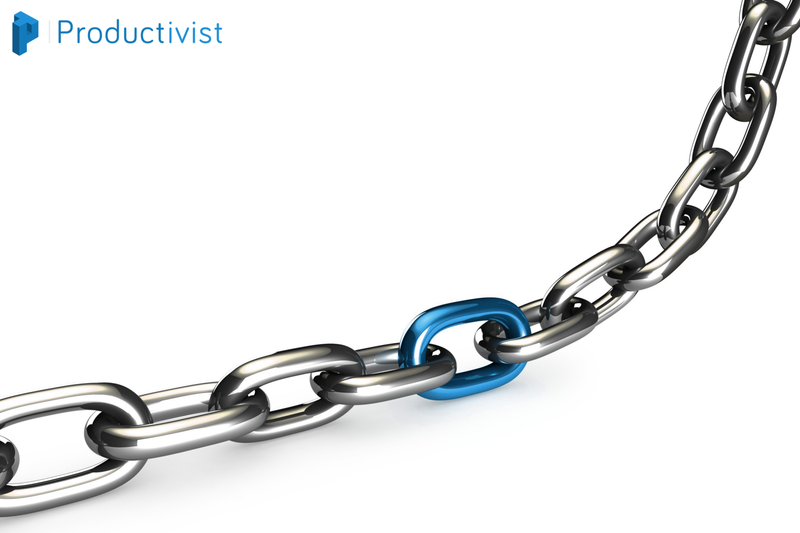 Productivist is the first peer-to-peer network connecting private and professional manufacturers to their clients by mapping global manufacturing.